Disney vacations for many are a once in a life time opportunity and family vacations in general can be costly. While The Walt Disney World Resort, The Disneyland Resort and other Disney Parks offer a wide variety of packages and lodgings to suit almost every budget, a planning Disney trip can still be an expensive, planning intensive, and stressful experience for many. Why not let a travel agent help you? Disney requires any travel agent selling Disney vacation packages to go through its training and graduate from the College of Disney Knowledge. Using the years of experience and knowledge of the parks, restaurants and resorts, can help make your vacation less stressful and more Magical. In addition, those services should be and usually are, FREE! Travel agents planning and selling Disney vacation packages receive their commission directly from The Disney Travel Company. The cost you pay for your vacation package is exactly the same as if you were to plan and pay for it yourself on the Disney websites. The difference is,by using a travel agent, your trip and planning is less stressful and you get all the experience of your travel agent when deciding which resort best suits your family, how to and what to get your Fast Pass reservations for, which dining reservations make the most sense for your family, and which character dining experience will give your children the chance to meet those must see Disney Characters. Resorts; We can give you first hand knowledge of a majority of the resorts from Value Resort all the way up to Concierge Level at some of the Deluxe Resorts. We’ve experienced solo trips, romantic couples trips, and family trips as our family size has grown. We are also Disney Vacation Club owners and can explain in detail the differences in renting the Deluxe Villas, from Studios, up to and including the Grand Villas for large families. Dining; We can help to explain the variety of Disney Dining Plans, which (if any) would be best for you, the variety of great dining experiences available (we have eaten at over 75% of the Walt Disney World Resort Restaurants), what are the Character Dining Experiences and how do they vary, which Character Meal is best for your family’s needs, even what are the must try snacks in the parks. We also offer free help with making your dining reservations. Parks; We can help you plan out your trips to the park in as much or as little detail as you like. We can supply you with monthly crowd estimates, park attractions closures, seasonal celebrations, ride height requirements, everything you need to make your family’s trip as Magical as possible. We will even assist you in making your Fast Pass+ reservations if you like to help make sure your family sees its “must see” attractions while there. In addition to Disney Vacations, our agents having taken training in a wide variety of vacations practices, methods, and destinations and take annual update courses to refresh themselves. We come from all walks of life and all levels of income, just like our clients. This helps to give each and every client the personal touch when you are matched with your personal agent who will work with you and be available to you each and every day from the first day of planning right up until the day you return home. We make the difference by handling all of the important details that go into to making a vacation more than just a vacation. It’s our job to take all of the stress and hassles out of planning your vacation before and during the trip in the event something arises, leaving you to just dream about your trip, pack for it, and enjoy it! 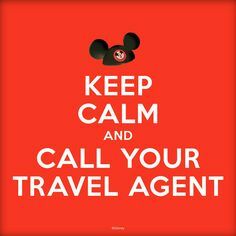 Whether it be the Disneyland Resort, the Walt Disney World Resort, the Disney Cruise Line, Aulani, or Adventures by Disney, a cruise, tour, or vacation package, we have an agent with just the right expertise to assist you. In addition to Specializing in Disney Travel and Cruises, we specialize in Universal, Orlando area attractions, Branson Area Vacations, Elvis & Graceland Area Vacations, Apple Vacations, Funjet Vacations, Las Vegas, Sandals Resorts, RIU Resorts, Globus, Cosmos, Monogram & Tauck Tours Worldwide, Hotel Stays, Airfare, and so much more! Our agents continuously take additional training in a variety of destinations, cruise lines, and attractions to be able to offer you the knowledge and service you deserve when using a travel agent!